The city of Houston is huge a one could expect of one of the biggest cities in the U.S, which means that there are always new things to do, new places to go, and new experiences to live. Today we want to introduce you one of the funniest mysteries the city has to offer you, the Escape Hunt Experience. The Escape Hunt Experience is a fantastic global entertainment franchise offering unique ‘escape the room’ adventures to the public and corporate clients all over the world. 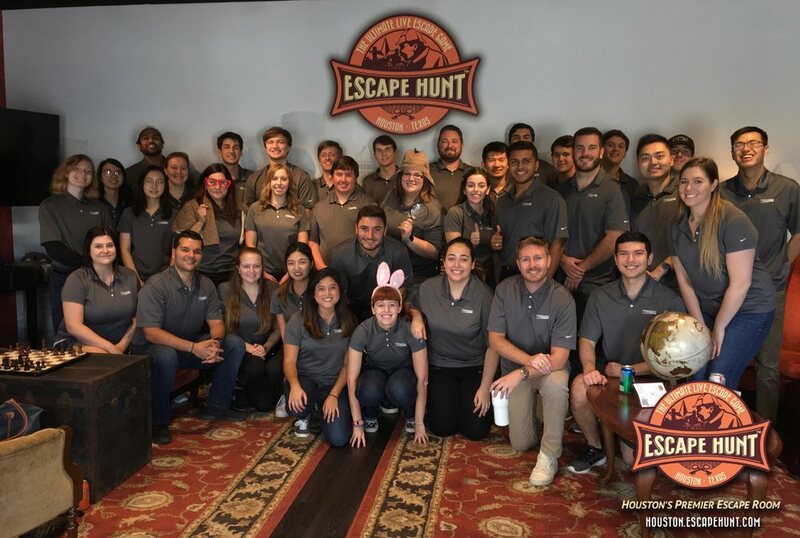 With more branches around the world than any other company, everywhere from Sydney to Paris, Tokyo to Houston, Escape Hunt are the acknowledged global leader in this fast-growing entertainment industry. Since opening, they have offered well over 25 million minutes of gameplay worldwide! The Escape Hunt Experience began in Thailand in 2013, and since then they have entertained many tens of thousands of guests worldwide, both young and old, companies and families. The newly-opened (Opening Spring 2016) Houston branch has several internal rooms making it an ideal choice for groups of 2 to many more. And you may be asking, how does it work? well is actually quite simple, first, you need to book for one of the three-game options the currently have online on their website. Secondly, of course, go to their location at West Gray street remember to turn up early! Third, prepare as you get locked in the beautifully designed room for 60 minutes!!! fourth, explore the whole room, find every clue you can and solver every mystery in the room! Fith, Victorious Photo Time! & delicious refreshments. Anyone can play along as it is an ideal way for friends & families to enjoy a great time together, also as a good touristic point, tourists and travelers should try this! the more the merrier, so if you are planning to bring your company or make a private event in their installations, you are in luck as it is their specialty! 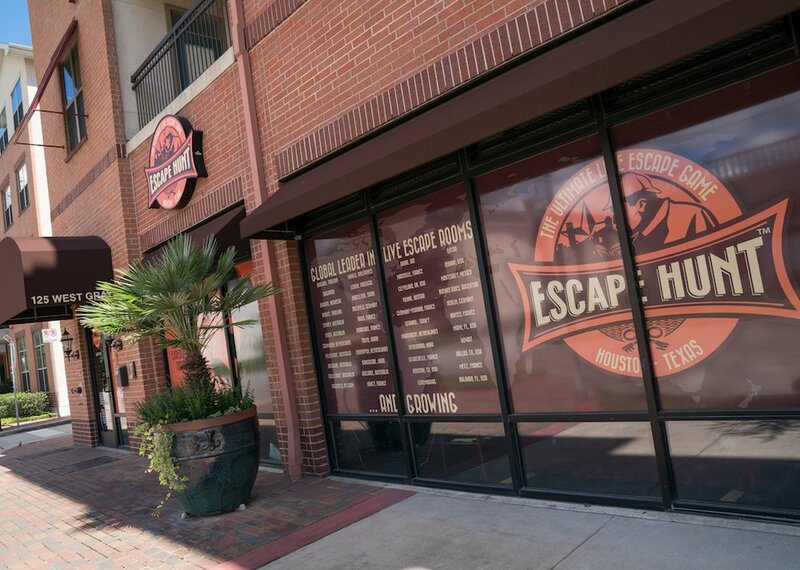 With have several rooms, The Escape Hunt Experience Houston split into different adventures. Each has an exciting and different theme. Each theme has an entirely different set of puzzles and codes so you can come back to play another room later and still enjoy the experience equally. The museum exhibit of the first president of the Texas Republic, Sam Houston, has been broken into by thieves. The original Texas Lone Star created in 1836 has been stolen and is to be sold on the black market. Detectives, you have 1 hour to recover the artifact before the museum exhibit opens. Can you recover the Lone Star artifact before it is lost forever?! 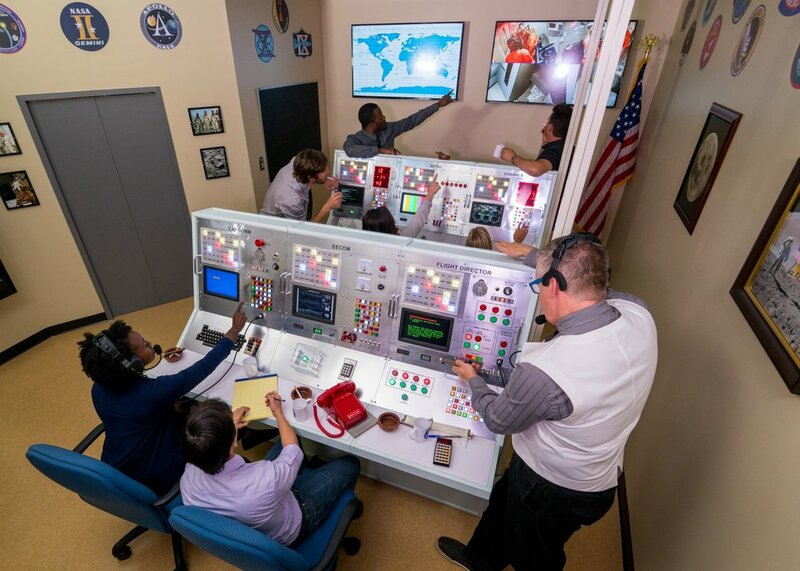 The most realistic Escape room in the U.S. patterned after the Apollo 13 Lunar Mission that has been called ‘the successful failure’. You and your team will be awed by the realism and fun of this escape room. Working under pressure, your team will need to help your astronauts return home safely from space. You have 60 minutes to save the crew. 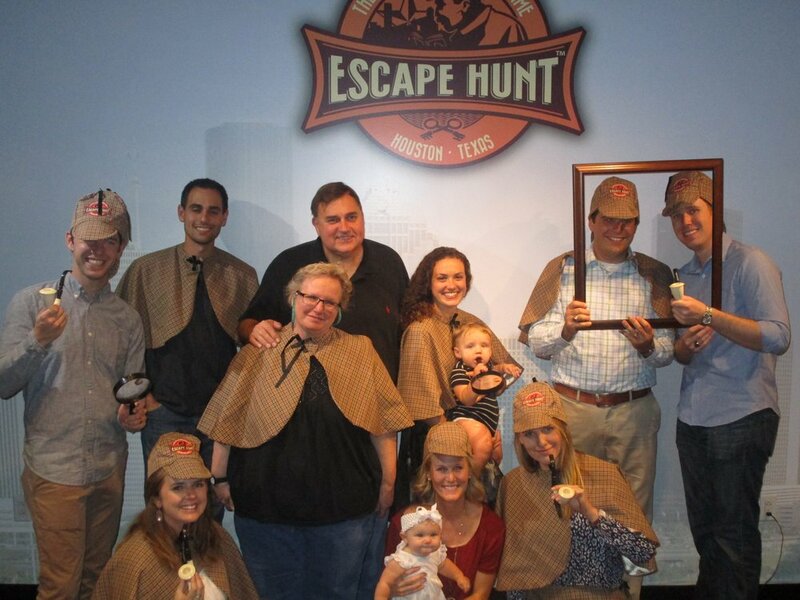 The Escape Hunt Experience Houston offers a true “experience” where you are transported to another era. For example, you can play the part of a famous London detective with your colleagues trying to solve a unique mystery. As a team, you play against the clock in one of the designed rooms to solve the challenge and thereby find your escape. 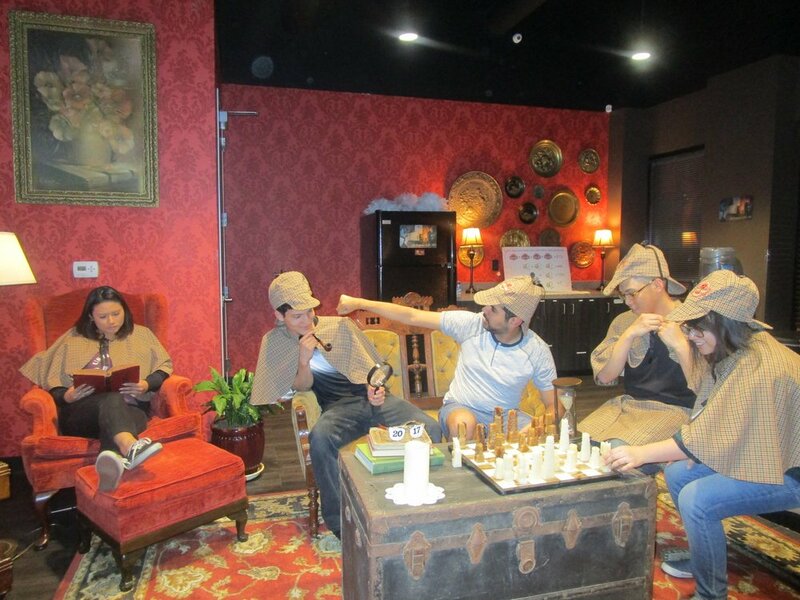 In all, it is an amazing place for people who like to use their brains and can handle solving clues. Overall it is an amazing place to visit and spend 1 and a half hours.